Ever since our establishment in 1837, bales of raw wool have been arriving at our mill's doorstep to begin the process of creating beautiful woollen products. We are one of Great Britain's last remaining vertical woollen mills, meaning we are among a select few who continue to complete all processes on one site. Immerse yourself in our story of craftsmanship below. Raw wool is delivered to our site in Guiseley. 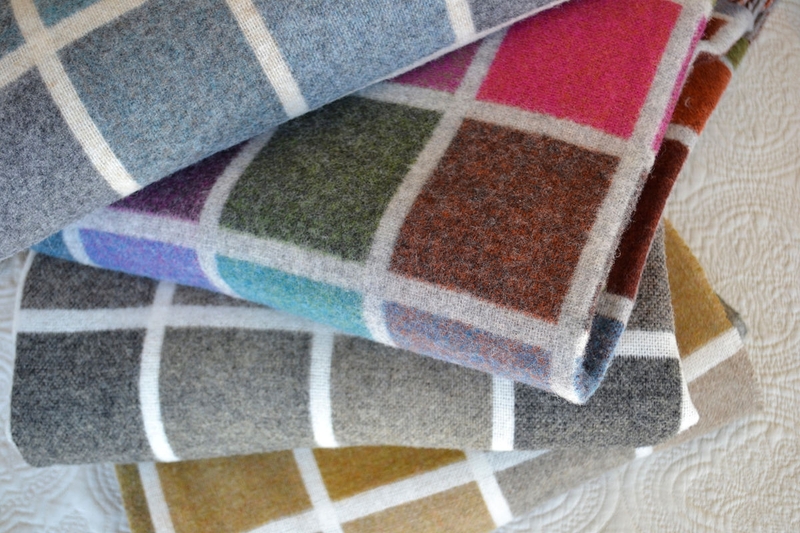 Our Merino Lambswool is predominantly from South Africa and our Shetland quality Pure New Wool is from New Zealand. Quality starts on the farm; sheep reared on a different diet can affect the quality so we buy our Wool from proven sources. To make our luxury fabrics we need the best natural raw material. The wool that arrives at our site is either scoured or cleaned and combed broken tops, which ensures that there is less than 0.3% impurities within the fleeces. 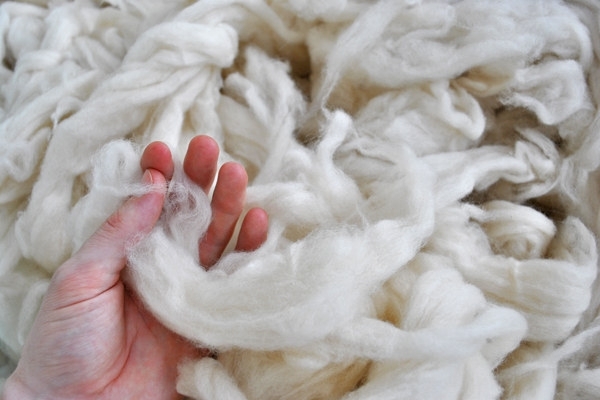 The raw wool then goes to the Dye House, to be dyed using precise combinations of dye, pressure, temperature and time. These combinations are kept a close secret to ensure our unique colour palette remains ours alone. We can currently dye our wool in over 500 different shades and colours; within the Dye House we keep a library of shade standards and recipes to ensure we have the continuity in each colour year after year. 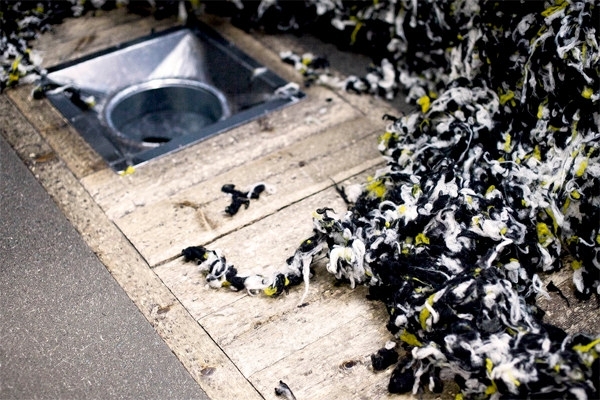 This is a highly skilled process that is essential to creating beautiful yarns. The secret to creating beautifully rich colour is in the blend. Up to 7 different coloured wools can go into the recipe for each yarn to create the finished colour. This is what gives Tweeds, Heathers and Plaids their uniquely rich texture. Having yarns made up of many different component shades gives us a great advantage when it comes to the final look of our fabrics. For example, if a check design includes 5 different colours, and each colour has 7 different shades in the yarn, the eye is picking up 35 different colours in the finished pattern. The rich web of coloured wool is then spun into a huge range of amazing yarns. Our 6 frames draw out the wool and put a precise number of twists per inch into the wool, resulting in a fine but strong thread ideal for fabrics used in furnishings and clothing. The yarn is then wound onto cones going through a check to ensure continuity of thickness of the yarn. Any faults are cut out of the thread and the ends thermally joined together (not knotted as in days gone by) leaving a yarn that will weave into smooth fabrics. The cones, holding up to 16,000m of yarn are then ready to be sent to warping and weaving. 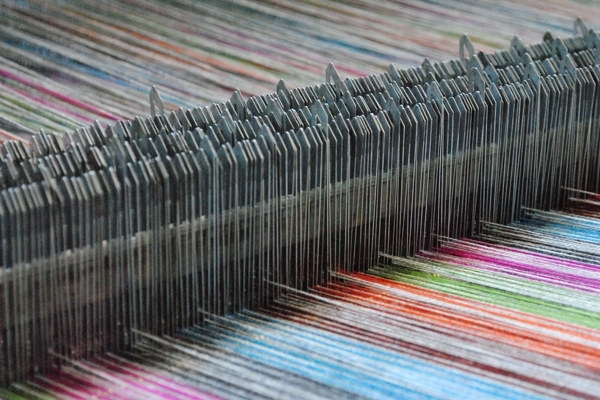 This is where many different yarns are woven together in intricate weaves to create stunning fabrics. Our mill uses automatic Rapier looms to take the weft (horizontal thread) across the warp threads, which are capable of weaving 30,000m of cloth per week. After the fabric is woven, each piece begins our strict quality control process. 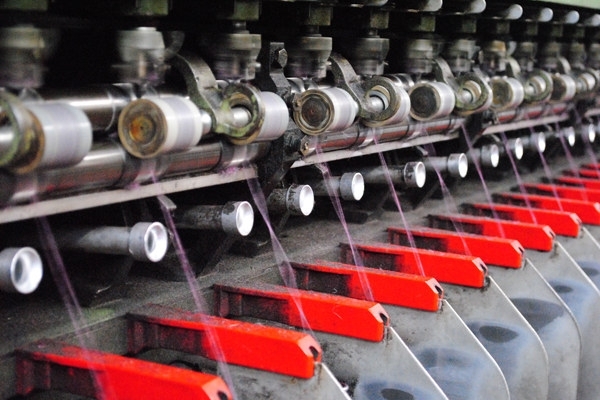 Every inch of fabric is inspected at three stages in the manufacturing process – when it comes off the loom, after finishing and again before it leaves the factory - ensuring our trademark consistency in quality. After weaving the fabric is scoured (washed) using pure water pumped from boreholes 800ft below Guiseley, and then milled and dried. The oils that were used to aid manufacture of the fabric are removed and fire retardants and water resist treatments can be padded onto the fabric. This is when the wonderful and luxurious feel (or 'handle') starts to become apparent. The final step in the process is finishing. Each length of fabric is carefully pressed using steam and specialised equipment used to remove any shrinkage, thus completing the creation of the fabric.